There are many special events that take place in London each year and many of them are superb ideas for a day out with the children. The New Year’s Day Parade on the 1st January is a highly popular event which gets over half a million visitors lined up to watch over 10,000 performers from around the world, along with 200 million tv viewers, this really is a must-see event. There are many Pancake Day Races in London during February, some of which include the competitors wearing fancy dress. It is fun to watch a relay of people trying to run as fast as possible while tossing pancakes in frying pans. The St. Patrick’s Day celebrations in London take place on the nearest Sunday to the 17th March. You can follow a parade of Irish marching bands from Green Park through the city to Trafalgar Square. Enjoy a free day out with the family, dress in green and look out for the dancing and traditional music for a true Irish experience, in London! There a loads of Easter celebrations in London for the kids to enjoy during the holidays in April. Many of London’s main attractions put on something special at this time of year, including Easter egg hunts, egg decorating and free chocolate! Other exciting events include the London Harness Horse Parade, St George’s Day celebrations, the London Marathon and Zippos Circus at Blackheath as well as church services at St Paul’s Cathedral, Westminster Abbey and St Martin-in-the-Fields Church, Trafalgar Square. The Chelsea Flower Show is a superb place to observe beautiful floral displays during the month of May. You can also celebrate the Sikh New Year, known as Vaisakhi, in Trafalgar Square with festivities including traditional Asian music and dance. The Queen’s Birthday Parade, known as Trooping the Colour, takes place on the 1st, 2nd or 3rd Saturday of June and marks the official birthday of the Queen, although her real birthday is on 21st April. The Wimbledon Tennis Championships are also on in June. It is free to attend the Watch This Space summer festival on the South Bank at Theatre Square. It includes a mix of entertainment by extraordinary artists, both British and international. The Wimbledon Tennis Championships also continue during this month and the Doggett’s Coat and Badge Race is a rowing race on the River Thames which is free to watch. The well known Notting Hill Carnival has a Children’s Day on the first day of the carnival which dates back to 1964. In August, there is also Kid’s Week, which includes workshops, activities and events across London and focuses on getting the younger generation involved in theatre. For a weekend, you can enjoy the architecture of London from the inside during the Open House London event when about 750 buildings open their doors to the public. Other exciting events in September include the London Design Festival, the Great River Race, the Mayor’s Thames Festival, Horseman’s Sunday and the Great Gorilla Run. 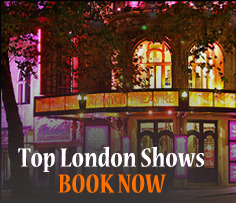 You can enjoy a traditional show at the Punch and Judy Festival in the Covent Garden Piazza as well as the London Film Festival in October every year. During this month you can enjoy the ever popular firework displays on Bonfire Night and The Lord Mayor’s Show where over 6000 people participate in a three mile parade. The Country Living Magazine Christmas fair is also something to look forward to this month. 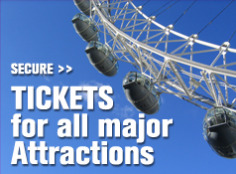 There is a magical atmosphere and heaps of fun stuff to do and see in London at Christmas time. Ice skating on open air ice rinks by the London Eye, Tower of London and the Natural History Museum to name a few, as well as Christmas Day dining, the Westminster Abbey Christmas Eve Service and the must-see Christmas lighting on Oxford Street and Regent Street, not to mention the New Years Eve celebrations and firework displays to put the cherry on the cake of a fantastic Christmas in London! Posted on November 22, 2015, in London Events 2016, Uncategorized and tagged London Anual Events. Bookmark the permalink. Leave a comment.